"For me, dying — it's very enlightening and certainly rewarding," David Plant (left) tells Frank Lilley. "Look at the opportunity to talk, for example. It's just incredible." In 2010, David Plant was diagnosed with skin cancer. The cancer has since metastasized to other parts of his body, and David is now contemplating the end of his life. So, just before his 81st birthday, he sat down with his stepson to talk about their life together. As Frank Lilley explains, "David is my stepfather, but I certainly consider him my father." The two spoke in in New London, N.H. And Frank began with a question. "So, you first met me when I was about 9 or 10 years old, when you married my mother," he says. "And I'm just wondering what your impressions were of me at the time." "You were a good-looking, athletic guy, but you were in the unhappy situation of a broken family," David says. "I didn't have a lot of people to look up to at that time — or a lot of friends, really," Frank says. "And so you became one of those very rapidly. And that meant a lot to me." Frank is now a father himself; he lives with his family in Massachusetts. "You know, I was thinking the other day how much I've looked up to you, and used you as an example," he tells David. "And I realized that's what I'm doing right now, again. I'm watching all of this, and I'm trying to learn how are you handling all this." "Well, I think in a year from now I won't be here," David says. "But I'm not anxious about whether there's a heaven, or whether there's music or clouds, or whatever. I'm more anxious about the end-of-life journey." "I want it to be quiet, contemplative, and calm. For me, dying — it's very enlightening, and certainly rewarding," he says. "Look at the opportunity to talk, for example. It's just incredible. We would coast around having a drink before dinner, never get down to anything that was serious." "That's exactly right," Frank says. "But I don't regard this as the terminal point of these conversations," David says. "Because I'm confident we're going to talk, again and again." Frank then asks David what he'd like his legacy to be. "I would just like people to believe that humility — listening to the other person and trying to understand the other person — and forgiving are important," David says. "You know, to be honest, I don't feel like I have to forgive you for anything," Frank answers. "I'm really just very grateful. And I love you, and I thank you." 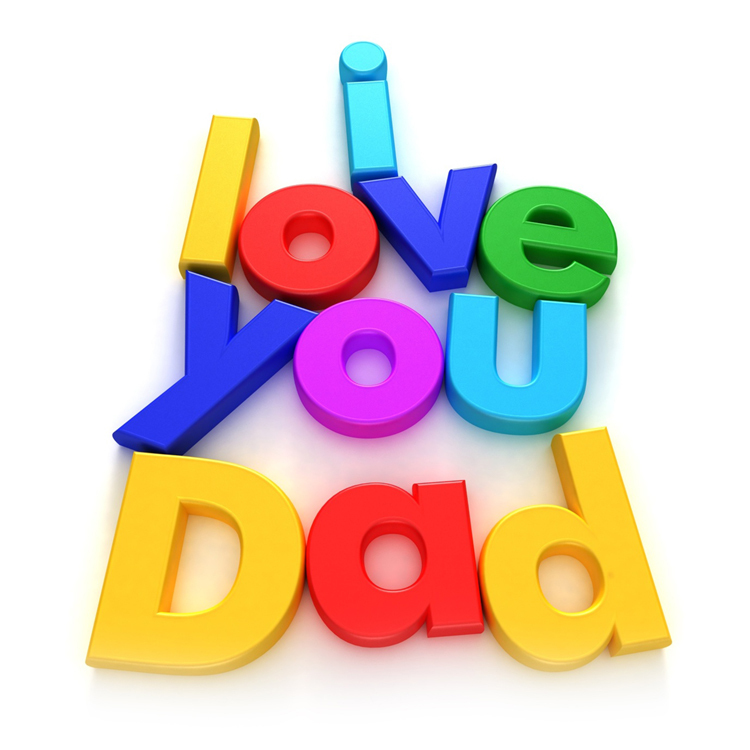 Today is Father's Day! 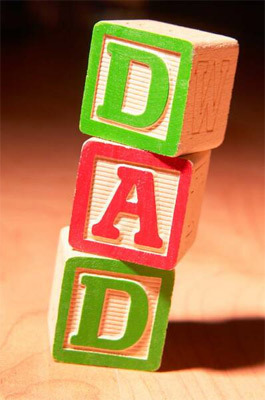 Happy Father's Day to all you wonderful Dads out there! Thank you Dad for being a great example in your life and your faith. You are truly amazing and I can't imagine my life without you. Thank you for being there for me, and for bringing me to the other side of the world last summer. :) Thank you for the amazing love that only a Father could have for me and my siblings. Thank you for all you do for us!!! We love you! or not a man has a biological child. both physical and emotional needs. but truly a special thing. "The position and authority of the father as the head of the family are expressly assumed and sanctioned in Scripture, as a likeness of that of the Almighty over his creatures"
Enoch, a father who walked with God as a great man of Faith. Noah, who was concerned about saving his children, he taught them about righteousness. He also walked with God, leaving a great example to follow. Abraham, who was given the title "Father of all of them that believe". He trained them as mentioned in Genesis 18:19. Joshua, who trusted God when others would not. Joshua didn't care what other fathers were doing, he and his family were going to serve the Lord! My son, do not despise the LORD's discipline and do not resent his rebuke, because the LORD disciplines those he loves,as a father the son he delights in. And if it is evil in your eyes to serve the LORD, choose this day whom you will serve, whether the gods your fathers served in the region beyond the River, or the gods of the Amorites in whose land you dwell. But as for me and my house, we will serve the LORD." "God, we have heard with our ears, our fathers have told us, what deeds you performed in their days, in the days of old:"
"Grandchildren are the crown of the aged,and the glory of children is their fathers." wise son will be glad in him." how shall he take care of the church of God?" "The just man walketh in his integrity: his children are blessed after him." For I have chosen him, that he may command his children and his household after him to keep the way of the LORD by doing righteousness and justice, so that the LORD may bring to Abraham what he has promised him." God is our "Father" and we are His "children". God seems to love being called "Father" more than any other name -- He uses it is to describe Himself all throughout the New Testament. So when God lets man be called "father", He is giving him a special honor, and with that honor God gives a special responsibility. You are familiar with the great Russian writer Leo Tolstoy. Tolstoy's marriage was a saga of bitterness. His wife carped and complained and clung to her grudges until he could not bear the sight of her. When they had been married almost a half a century, sometimes she would implore him to read to her the exquisite, poignant love passages that he had written about her in his diary forty-eight years previously, when they were both madly in love with each other. As he read of the happy days that were now gone forever, they both wept bitterly. Is there anything sadder than to look back over a lifetime of neglected opportunities--wasted years when love could and should have been nurtured--and regret that you "blew it?" Some of you know what I am talking about. This is Father's Day. Dads don't get the respect that they used to. Remember "Father Knows Best"? For many fathers, those were the good old days. A few years ago, a college professor conducted a careful, two year study that asked children aged four to six: "Which do you like better, TV or Daddy?" That the best gift we can give our children is a sense of safety and security as they grow up. I believe that it's more important to give them our time, not our money, it's more important to be respected by them than to be liked by them, it's more important to encourage them in their interests than to require them to share our interests. That means, dads, that if you were a fullback but your son loves the violin, you better learn to love the violin! And I believe that our responsibility reaches beyond caring for our own children, and Jesus expects us to care for all children, everywhere. It was Dietrich Bonhoeffer who said "The true test of a society is how it cares for its children." Taken to its logical extension, it means that we cannot just be proud that OUR kids received a great education when other children receive a poor education. We cannot be satisfied that our children get fully nutritious meals when some children go to be hungry at night. We can be proud that our child has a spacious bedroom, but shouldn't we also be concerned that 4400 children are homeless in our state alone? When I was a child, life was not easy. My dad worked two jobs to try and support my mom and me so that we could buy a home, have nice clothes and enough to eat. He wasn't home very much, and when he was home he was usually sleeping because he was so tired. I never really got to spend any time with my dad until I was grown up. My mom worked hard, too. She didn't have a job but she was always busy cleaning and cooking, and when I was six years old my mother had a baby and another arrived thirteen months later. Then she was incredibly busy and didn't have much time left over for me. I felt pretty lonely. One day I went for a walk, by myself as usual, and I went by the church. In those days the church rectory was next door to the church and as I passed by I saw my minister out in the yard digging. I walked over to him to say "hello" and he put down his shovel, sat down in the grass and began talking to me. He didn't talk at me, he didn't give me a sermon, he just sat with me and listened to me talk. He asked me all about school and my life in general. We must have sat and talked like that for at least an hour. He did not know it, but those few moments with him changed me. For the first time in my life, I felt like I was special. I felt worthy of having someone listen to me, I felt treasured and cared about. My minister had no idea how much those few moments meant to me. But that day so long ago, he had planted a seed within me. It didn't sprout up overnight, but it grew, gradually, into a sense of being called to ministry. I like the story about the ten-year-old boy who answered the doorbell at his home one day. When he opened it, there stood a strange man on the porch. The man said, "Son, you don't know me, do you?" The young man said, no, he did not. The man replied, "Well, I am your uncle on your father's side." To which the young fellow replied, "Well, I am glad to meet you, but you are certainly on the losing side." A first-grader asked his mother why his Dad brought home a briefcase full of material each night. She explained that he had so much work to do that he couldn't get it all done at the office. The youngster pondered this soberly, then asked, "Well, why don't they put him in a slower group." Parents, remember this. If you can't say no to some claims, your life will drip away like a leaky faucet. You won't make much of a splash anywhere. Hey Eve! We got forbidden fruit!" "A Word for Christian Fathers"